God still meets the needs of people who will by faith obey Him. According to His Word, "all things are possible." Jesus still saves, sanctifies, heals, delivers, restores and supplies sufficient grace for every need. 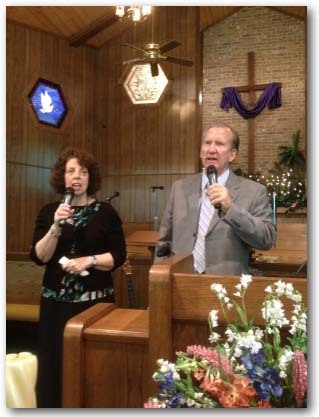 We lead the congregation in worship in song using the local pianist, etc. Also, we bring the special music. 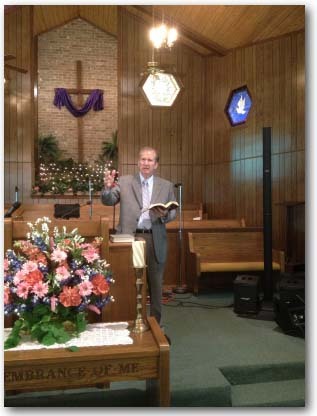 We provide our own sound equipment for special singing and recording of the messages. We record each message on CD and make them available to the congregation for free. Copyright © Burkhalter Ministries. All Rights Reserved.